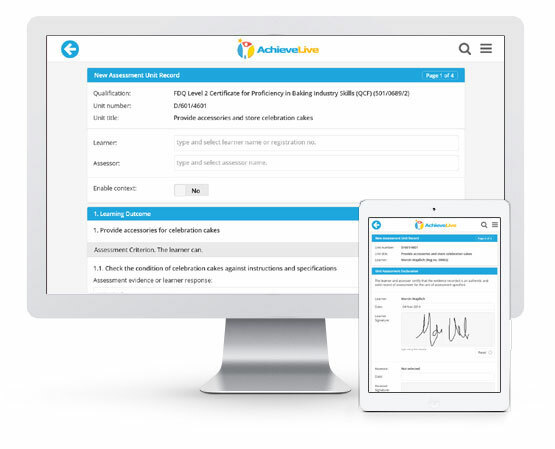 AchieveLive has been designed to allow learners, assessors, training centres, employers, moderators and qualification awarding bodies to access assessments and supporting evidence in the cloud. 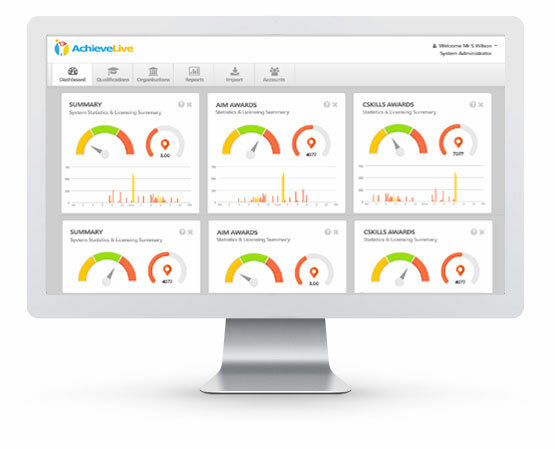 AchieveLive has been developed to make the process of completing a vocational assessment as efficient as possible. Assessment reports are assembled automatically including observations and supporting evidence. AchieveLive gives you the power of an ePortfolio system presented in an easy to use package. Learners and assessors only see the documents that are relevant to the current assessment unit. AchieveLive is being used by Southern Regional College to assess learners in the school of food and drink studying for qualifications such as professional butchery. Extensive on-line help is built into the AchieveLive system to allow users to quickly understand how to use the system. On-line tutorial videos and additional face-to-face training options are available and the AchieveLive helpdesk team are here to help with any operational issues. ABC Awards is always looking for ways to help our learning centres get better value for money from our qualifications. We wanted to offer them an ePortfolio and assessment system that is easy to use and supports a variety of different assessment scenarios. AchieveLive meets the bill perfectly and offers good value for money. The AchieveLive system generates an assessment form for a vocational qualification unit from the learning outcomes and assessment criteria that are lodged with OFQUAL. There are separate fields to be completed by the learner and the assessor. Only the assessor can specify that the learner has passed the unit. The training centre or college administrator can attach guidance documents and workbooks to a unit and these are displayed to the learner and can be downloaded by them when they open a unit assessment record. The assessor and learner can both attach files, including pictures and video, as supporting evidence to an assessment record. The AchieveLive system allows the assessor and learner to sign and date the completed assessment record and then print-off or save an assessment record report. The system can be configured to support different workflows for different units. For example there is an external assessment workflow option where the assessor is not the tutor and may never meet the learner. The AchieveLive course administrator interface makes it easy for your administrators to track the progress of your learners and assessors in completing the units that make up a vocational qualification. Graphical reports provide easy to read status reports such as units completed towards a qualification. Get in touch to find out how AchieveLive can bring efficiency and cost savings to your training business today. © AchieveLive. All rights reserved.